In ancient periods Sri Lanka was divided into three main areas called Ruhunu, Pihiti and Maya. 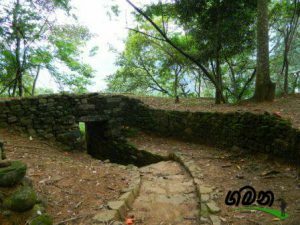 This is an ancient entrance point to the Maya from Ruhunu. 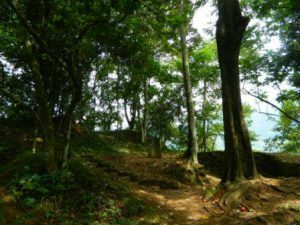 There were many similar locations in the ancient Sri Lanka during the periods ruled by the kings. But this is the only place remained today. 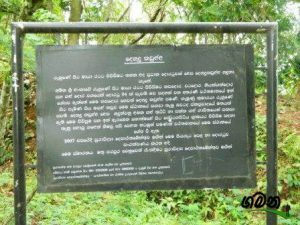 This place is popular due to another legend related to King Dutugemunu. 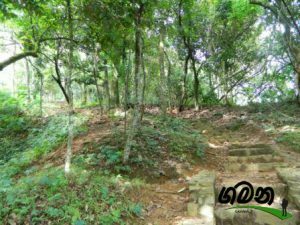 Prince Gamini (the name King Dutugemu was known before becoming the king) spent some period in Kotmale area as a normal villager. When he was coming on the way to Kotmale he hid his royal sword at this location.